A friend in need is a friend indeed, how often do you come across this saying? The answer to an extent would be almost every moment in your life. When you are with your friends, especially the best ones, everything seems to be more lively, vibrant and cheerful. Travelling with your best buddies, no matter what time of the year it is or where it is, is surely an unlimited amount of fun and excitement, which is always guaranteed. Life is very short, live it to the fullest and what is better than going around different places with your buddies, eh? Going around places with those people who've played one of the most important roles in your lives can truly be worth cherishing and magical. Travelling with them indeed would be an experience that one would cherish throughout their lifetime. So, if you're planning on heading to a nice, serene place with your friend, we'd suggest you the below places, take a look. This is one place which you should definitely be on the lookout for. With its snow-covered mountains, cascading waterfalls and the peaceful valleys, Manali is one amongst the best places that attracts a large number of visitors. Be it your best buddies or solo travellers, this place is a base camp for quite a number of hiking trips in the country. The hiking trips would pass through mountains, towns and much more. One would simply continue the journey without acknowledging the passing of time and immersing oneself in nature. 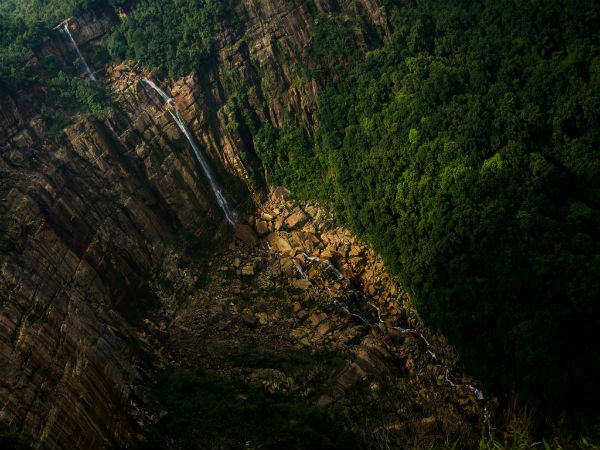 Meghalaya is known for its mesmerizing scenic beauty, which is formed by tall hills, endless streams and waterfalls. Meghalaya in translation means "the abode of clouds", and you will never repent wondering how you could have missed this heavenly place. You would encounter clouds passing by you, and its rocky cliffs along with mysterious caves, which have many hidden secrets. The land of high passes, Ladakh, is an infertile land yet offers some breathtaking scenic spots. In the northern direction, there is Jammu and Kashmir, in the east is Tibet, in the west is the beautiful Kashmir Valley and in the Southern direction are the valleys of Lahaul and Spiti. Ladakh tries to remain hidden in the bosom of nature, and that is infact the most attracting feature of this land. Don't wait to get lured away at this exotic destination, get your best buddy along and make your bond stronger as you go about the place. Considered as one of the oldest cities in the country, Pushkar has many interesting ruins, for a forgotten past time, which makes it a must visit for you. Make your holiday interesting as you play Sherlock Holmes investigating some of the most interesting places here. This small hamlet has more than 400 sanctuaries and is also home to the Brahma Temple, which is one of its kind in the entire world. It does not matter if you are visiting the place to learn about the ancient culture or just want some break time, this place would never let you down. Located at the top of Kangra valley, the place has indeed become one of the favourite destinations for all. The city is wrapped with a thick front of deodar and cedar trees and is one amongst the major settlement areas of the Tibetan refugees. It is also the seat of His Holiness - the Dalai Lama of the Tibetan sect of Buddhism. Dharamshala has everything to make it into a flawless vacation. Although the place is brimming, yet it remains quiet, making it one of the perfect spots for you and your best friend to hang out at. Discovered by a British traveller Frank Smith in the year 1931, the Valley Of Flowers is truly a heaven on earth. Most of the adventure seekers and explorers trek through this beautiful valley, which is home to a large variety of flowers, butterflies and other insects. The valley is located amidst the Himalayas at an altitude of 3858 m, which makes it a perfect holiday spot for you and your best buddy. With its red hot beauty of beaches, late-night parties and the tropical vibrations, which make it an outstanding beauty, Goa is the place you gotta get going to. If you are planning for thrilling activities, a romantic holiday or a holiday with your crazy lot, Goa would for sure be in the top priority list. Once here, you would be surprised at the things which are offered here - starting with colonial architecture, yummy food, yoga or simply having a sun bath under the sun. Goa is one destination which you should never miss. This beautiful destination is about 20 km away from Mahabaleshwar and it takes its name from the five hills which surround it. Panchgani would be a perfect place for a weekend holiday or an adventure holiday. At an altitude of 4000 ft, this place would surely enlighten you with its old Parsi homes and its strawberry farms. Blue water, white sandy beaches and a string of palm trees, well that would be Lakshadweep for you in a few words. Now, picture the floating crystalline waters, diving deep into the waters to explore the beautiful coral reefs...that's truly a must head to place with your buddy, isn't it? Mostly inhabited by fishermen, this group of islands is also visited by people from across the world. So, grab an opportunity to know more about the local fishing techniques and about their day-to-day life. Auli is a place which offers a mesmeric experience of the Garhwal ranges. Take a ride in the 3.5-km-long cable car link to Joshimath and witness the beauty of the peaks of Nanda Devi, Kamet and Dronagiri. One can try their hand at skiing, river rafting and trekking; however, skiing is one of the most preferred sports here.